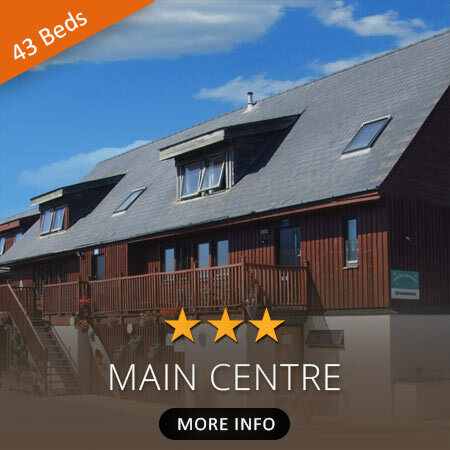 The Hub of our site - warm, spacious and has a great central meeting room. 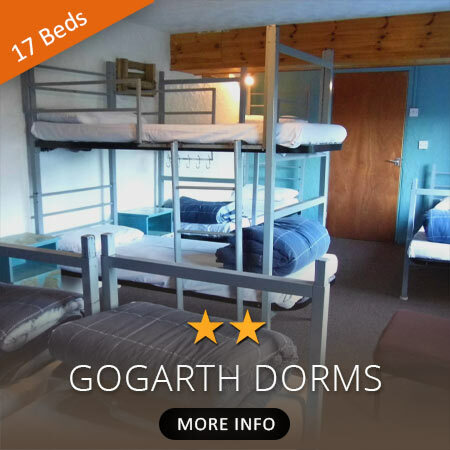 12 bedrooms available, from private twins rooms to 6 bedded dorms. Can be booked exclusively or per bed. 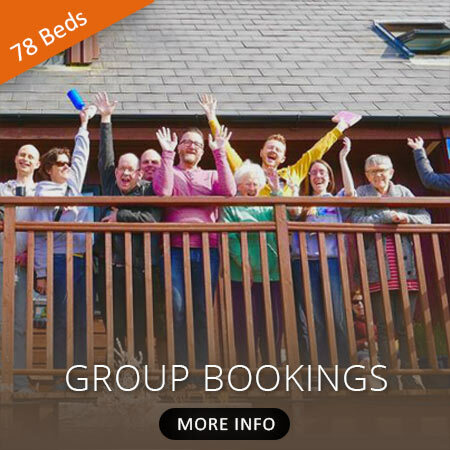 If you would like to bring a group to stay please get in touch with the office to discuss your requirements - we can accommodate upto 78 people indoors! 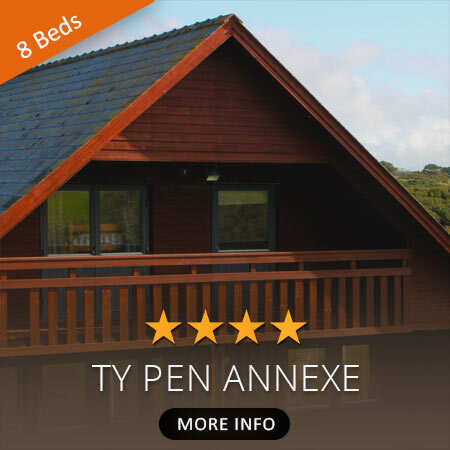 Our 3 bed roomed annexe gives you privacy whilst being part of the Anglesey Outdoors atmosphere. The large open plan kitchen/lounge is perfect for smaller gatherings. 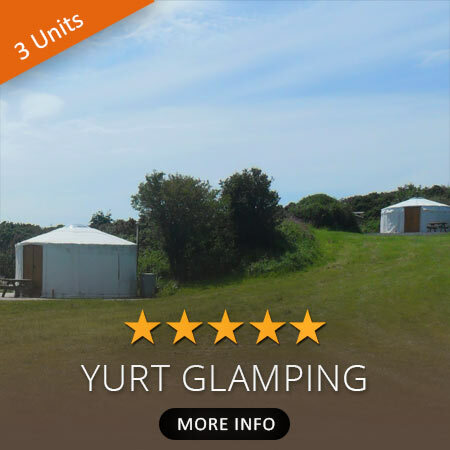 Ideal, basic accommodation for those who just require a bed, somewhere to cook, and a warm place to relax. Twin and dorm rooms available exclusively or per bed. 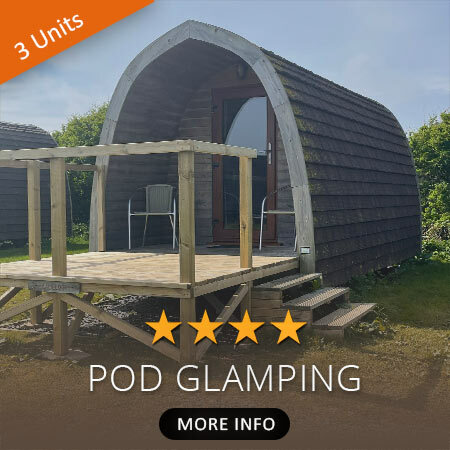 Get the glamping experience with even more 'cosy' in this fully-equipped retreat. 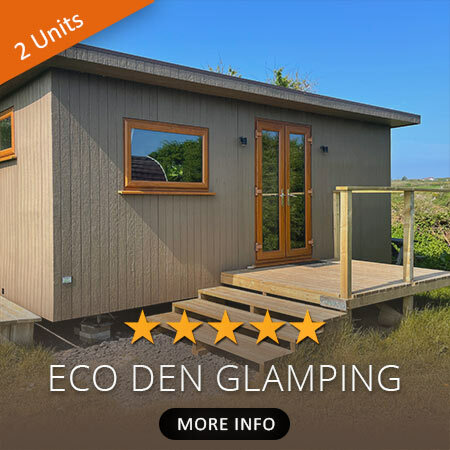 Watch the sunrise over Snowdon from your doorstep in perfect comfort, while you glamp out in style. This is the easiest way to camp - no poles, clutter or wet gear. Glamping, all ready to go with bedding. They are the perfect solution for a quick stopover after a days adventure. A hexagonal, wooden tent with a sky light! It's camping in a touch more comfort, with a woodburing stove inside, you can cook and keep toasty warm all year round. The ultimate escape of the adventurer and glamping pioneers. 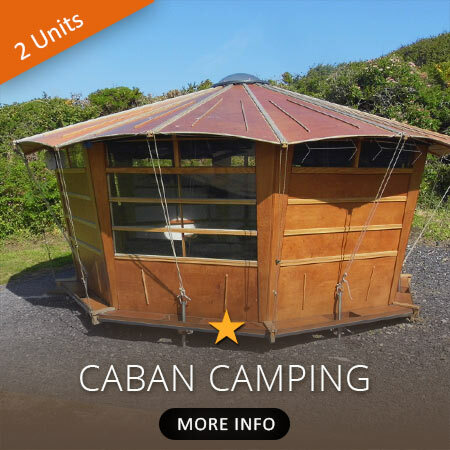 A cosy retreat with all the basics for simple living, decked with a wood burning stove and a central skylight to stargaze through.